Past performance: Its very important to look at the past performance of mutual funds, across market cycles, due to the sheer variety of them. This exercise will help you in picking a fund which has proven to generate returns for its investors, and is a good metric to assess the quality of the funds. Also we must warn you to also not base your decision on this factor alone. In the past many funds that have underperformed are proving to be highly profitable due to the ever changing economic scenarios. Its best to get professional help in the form of Mutual fund agents who will help you with it. 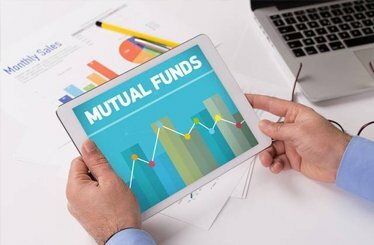 Mutual funds are for the long run: Mutual funds are the most profitable when given enough time to mature, and will provide you with the highest returns at the end of their maturity cycles. Any premature selling or modification should be done cautiously and only if you urgently require liquidity. This is the reason why mutual funds are highly popular with investors looking to create wealth in the long term. If you are fidgety investor, its best you consider other options like stocks. Mutual funds are subject to risks: No mutual fund can guarantee you assured returns, as all of them are subject to various market risks. Its mandatory under SEBI guidelines for mutual funds to provide complete and detailed information on risks to buyers, and you must go through them in detail and understand them properly before taking the plunge. Exit loads: Exit loads can be defined as commissions or penalties that are levied if you decide to exit a fund. Usually mutual funds have exit loads ranging from 1-3% but there are options available which are devoid of these charges. Options: When it comes to mutual funds, you will be spoilt for choices in the market. A lot of financial companies including banks and non banking financial corporations offer mutual funds and you must go through them in detail before selecting your pick. We have told you briefly about 5 key things to know about Mutual funds. We at SNPFP have helped a diverse variety of individuals including salaried professionals, businessmen and even housewives, create wealth through our pinpointed mutual fund consultancy. Feel free to contact us if you have any further questions.